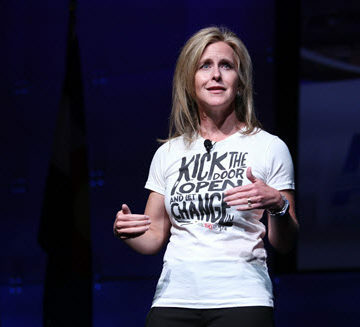 ASCE President Kristina Swallow took the stage, her t-shirt speaking volumes, Saturday morning in Denver, Colorado. “Kick the door open and let change in,” it read. And with that, the ASCE 2018 Convention’s tone was officially set. Swallow kicked open the door with an inspiring call for civil engineers, young and old, to deliver new ideas and innovative solutions amid an ever-changing world. 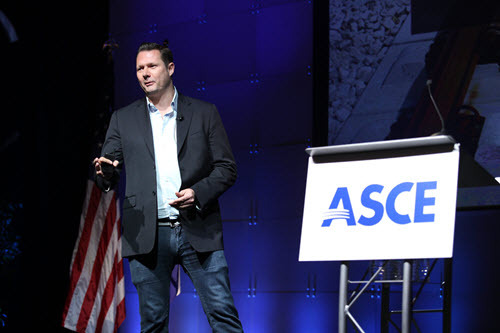 It was a rousing message that, together with Convention keynote speaker Dirk Ahlborn, CEO of Hyperloop Transportation Technologies, and Mike Lewis, executive director of the Colorado Department of Transportation, had the ASCE audience applauding and ready to save the world with the power of civil engineering. “I think it’s very interesting, this idea of change,” said Kent Andrews, vice president of the ASCE Student Chapter at Old Dominion University in Norfolk, VA, who is focused on ways he can bring forward-thinking ideas to the structural engineering industry. 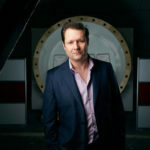 Ahlborn outlined the innovative technology and unique “crowd-storming” collaboration model that his company has used to develop Hyperloop. All the talk of new solutions, though, inherently means talk of new problems. It can be daunting, if not downright scary. The good news is that civil engineers are positioned perfectly – as Swallow’s t-shirt suggested – to mitigate the scary and secure the solutions. 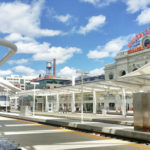 “We live in a time when it’s crucial that we develop innovations that shift us toward sustainable energy and sustainable infrastructure,” said Jonathan Diaz, a student attendee at the Convention from the University of Illinois at Chicago. 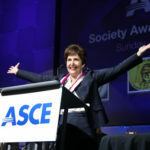 Tony Cioffi, ASCE’s Region 1 Director and a member of the Board of Direction, sees hope in all of the young civil engineers at the Convention and those he teaches every day as a professor at the New York City College of Technology: “I’m excited about the young engineers coming up, how they embrace technology and social media. We need their thinking, we need their thoughts. As the Convention teems with the youthful energy of future problem-solvers, it’s important to recognize the change agents whose innovations and expertise have brought the profession to where it is today. ASCE inducted its Distinguished Members class of 2018 during the Celebration of Leaders Luncheon at the Convention.